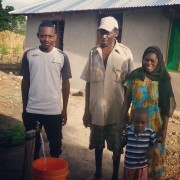 Healthy Life Reinforcement helps families improve the health of their children by building organic vegetable gardens and distributing micro-loans for income generation and home improvement. Both projects have a history of effectiveness in combating malnutrition and poverty. To achieve financial self-reliance, Healthy Life Reinforcement is selling organic compost and renovating an unused home into accommodations for tourists and volunteers. Battambang Province has the fourth largest population in Cambodia and was a hub of trade during the French colonial period. Since the end of France’s colonial rule, much of the infrastructure has fallen into disrepair, disrupting the local economy. 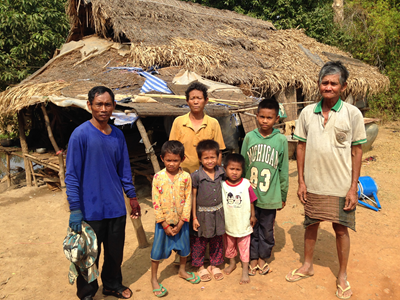 Although known as the “ricebowl of Cambodia” many rural families live well under the poverty line. 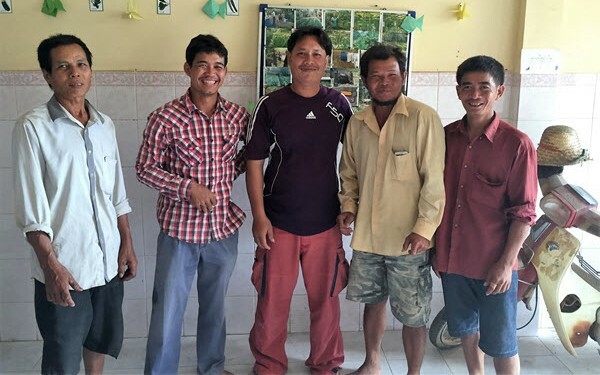 Healthy Life Reinforcement works with three communities in rural Battambang to help improve children’s health, education, and income potential. They work with students from Makara Primary School and Anowat Primary School. 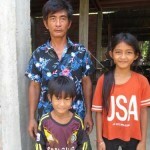 Most families in Battambang Province rely on rain irrigated rice harvests from small plots of land around the area. Many people will gather wild vegetables from the jungle to feed their family or sell in the market to earn a small income. The Better Live’s organic vegetable garden program teaches families how to increase their soil’s long-term fertility, give their family a regular source of vegetables and earn extra income. Additionally, microloans have helped families to increase their income through carefully planned repayment schedules. Salee Oum is the manager of the Healthy Life Garden Shop. 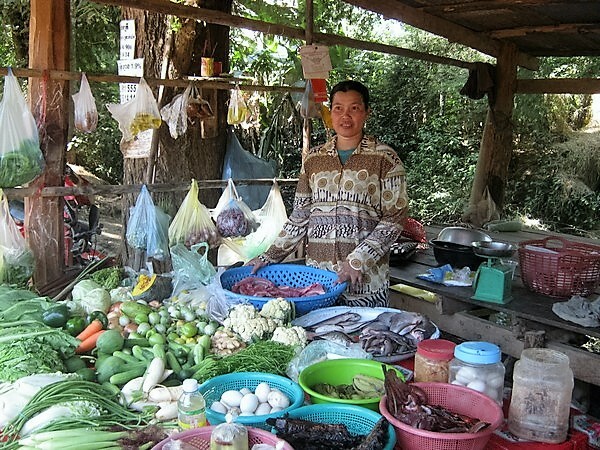 He has master’s degrees in business and economic management from the University of Battambang. Before joining Healthy Life Reinforcement in 2013 he worked as a project manager and translator. Salee is leveraging his organization and business skills to expand the Garden shop’s programs to new communities. Living a healthy lifestyle is one of Salee’s passions. When he’s not at work he plays football, weight-lifts, and spends time with his three daughters. Healthy Life Garden Shop works with families to build organic vegetable gardens designed to provide fresh, organic, vegetables throughout the year. 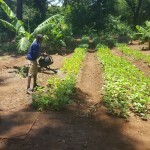 The Healthy LIfe team builds gardens with families and contributes inputs like compost, foliar sprays, and seedlings. The team mentors to families to encourage best-practices and sustainability. 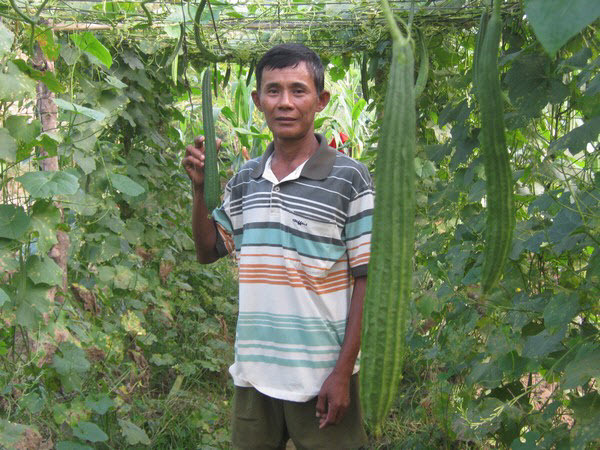 Families who maintain productive vegetable gardens can qualify for livestock loans to improve their income. 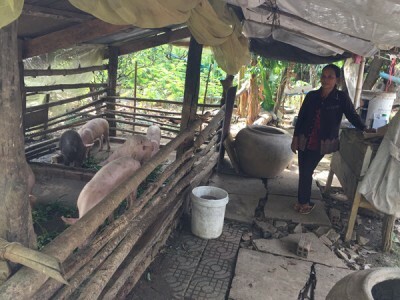 Pig-fattening loans are one of the safest and most effective loans to distribute in Cambodia. Families buy, fatten, and sell pigs for a profit. 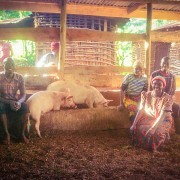 Eventually families are able to reinvest profits to buy new piglets and the project becomes self-sustaining. 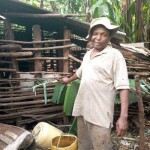 When a family proves they are earning regular income from livestock, they can receive a loan for home improvement. 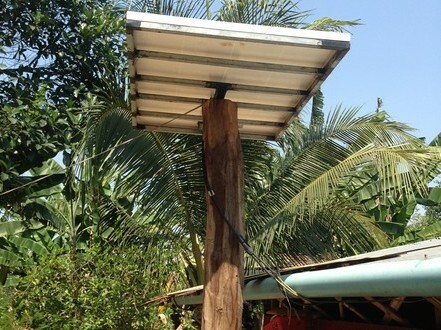 Profit from livestock loans helps repay home improvement loans for things like solar panels, safe toilets, and improving roofing.